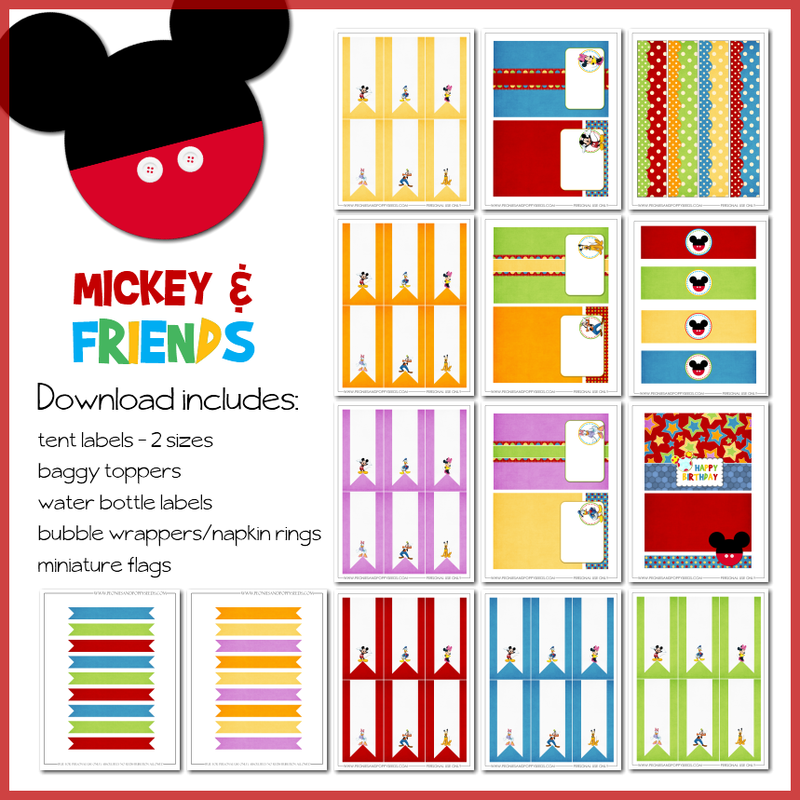 This is the last bit of party printables you'll need for your Mickey & Friends party! This download features Donald, Daisy, Goofy, Pluto, Minnie, and Mickey Mouse. It includes large and small tent labels, bubble wrappers (or great for napkin rings! ), water bottle labels, baggy toppers, and miniature flags that are fun to use on straws, toothpicks, or even as a miniature banner atop a cake! Download now.